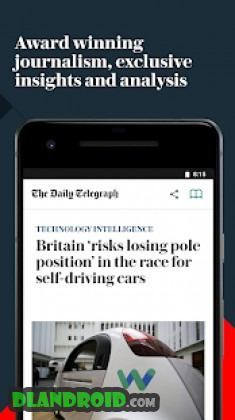 Telegraph Newspaper App – World & UK News is a News & Magazines android app made by Telegraph Media Group that you can install on your android devices an enjoy ! 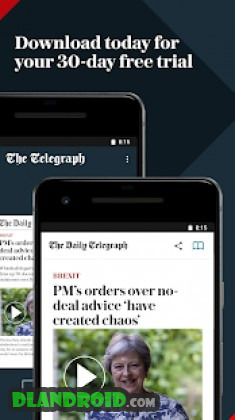 As one of the best free news apps and most trusted brands in the UK, The Telegraph Newspaper Edition App brings the latest International & UK news to life with award-winning journalism, in-depth news analysis, reports and an incredible insight into the world of politics, business, finance, sports, technology and entertainment. A new edition is delivered daily at 05:00 GMT to your mobile and tablet so you’re always in the know. Downloaded issues can be saved for 7, 14 or 28 days for offline reading. 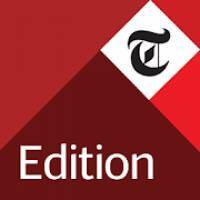 The Telegraph UK Newspaper App features a quick and easy-to-use design and offers a faster and better personal reading experience. • Discover latest news stories and content from across the full breadth of the Telegraph Newspaper, including entertainment, football, fashion, lifestyle, travel, tech, culture and interactive puzzles! 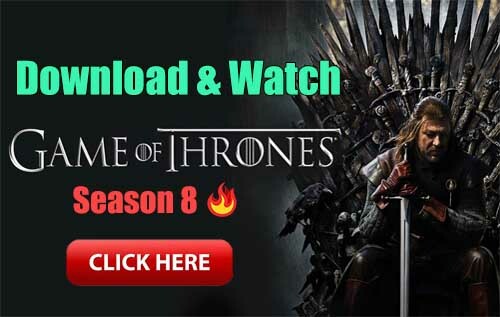 (1) Monthly subscription can be purchased via your Google Play Account and these subscriptions will be automatically renewed. You can easily manage or cancel your subscription at anytime in the Play Store subscription settings. (2) Telegraph newspaper subscribers can access the news apps by validating their subscriber number and postcode within the edition news app.